First on our list of soloists for these two concerts is Héloïse West, a well-known and accomplished soprano who we are delighted to welcome. Heloise will take us through the highs and lows of the great work finally reaching the highest of high notes towards to the end of the Requiem. You will discover what this is like if you watch the video below, sung by Renee Fleming and conducted by Antonio Pappano – if you haven’t time to listen to the whole piece go to 7 mins 15 seconds and listen for a moment or two. At 11mins 26 seconds you can hear another stratospherically high note. This is, indeed, one of the great feats of the human voice and to hear a singer live achieve this wonderful sound is a treat indeed. Héloïse West was born in Devon. When she joined the National Youth Choir of Great Britain she received a gifted pupil award. She gained an Entrance Exhibition to the Royal Academy of Music, graduating with an LRAM and a Bachelor of Music degree in performance. She has also studied at the Guildhall School of Music and Drama. Héloïse has recently started an in-depth course of study on Wagnerian roles with Lionel Friend. 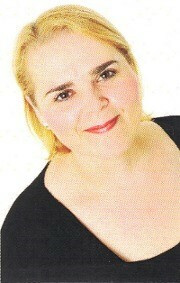 She has a busy career in the South West singing oratorios. Her performances include : Bach- St.Matthew Passion, St.John Passion,Mass in B Minor, Brahms– Requiem, Handel- Messiah, Haydn– Nelson Mass, Creation,Mendelssohn-Elijah, Mozart– C Minor Mass, Coronation Mass, Requiem,Poulenc-Gloria, Verdi-Requiem. This entry was posted in Brixham, Choral, Opera, Paignton, torquay, Uncategorized, Verdi and tagged #requiem, #verdicoast, concert, torquay.